Restaurants, bars, cafes, takeaways and chefs tips. Plan or relive your gourmet experiences. The journal has 5 themed sections and 5 tabbed sections to personalize. 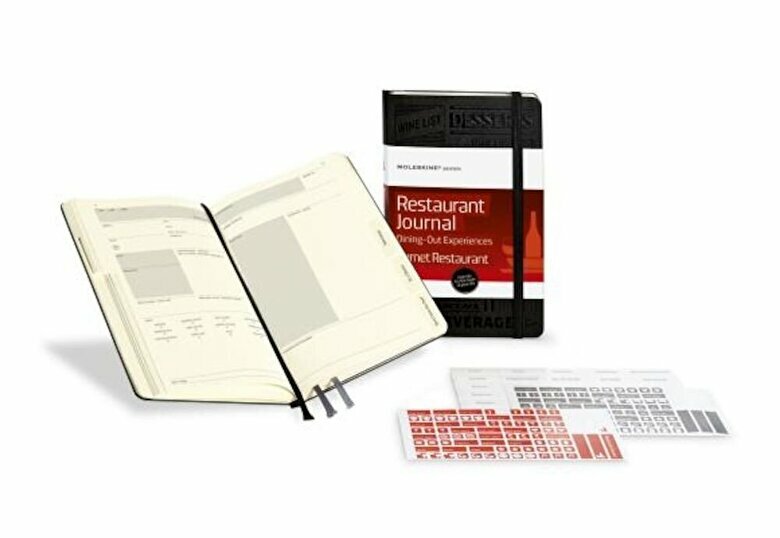 Space for restaurant, bars and cafe notes, chefs tips, takeaway ratings, wish list blank pages for your comments, and 202 white and colored adhesive labels to personalize your journal. Cover and spine with glossy black debossing. Double expandable inner pocket.